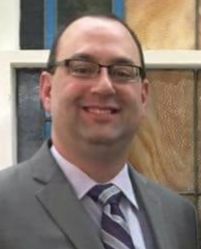 Andrew Bowen has been pastor at Smyrna since June 2012. He is excited to be part of what God is doing in the world and this community. As pastor, he has the opportunity to preach weekly, share in the lives of people, and lead them into a deeper relationship with Christ. Growing up in a pastor's home, Andrew has never known life outside of church (a fact for which he is very thankful). At the age of 10, on the last night of VBS, he accepted Jesus as his personal savior. In 2003, he accepted the call to preach (and preached his first sermon that evening). Prior to coming to Smyrna, Andrew has served in other churches as a Sunday school teacher, choir director, youth minister, and children's minister. God has used all these experiences to prepare Andrew for what he is doing now. He was a 1999 graduate of Murray County High School, 2003 graduate of Berry College (BS in Math Education), and 2008 graduate of Capella University (MS in Educational Leadership). Over the course of the past 10 years, he has also taken multiple seminary classes online and via Seminary Extension. Pastor Andrew married his high school sweetheart, Charity, after they both graduated from college. Charity is a teacher in Dalton, GA. They have three wonderful children Olivia (Born 2008), Isaiah (Born 2010), and Arianna (Born 2015).